The NBA regular season is lurching towards its conclusion, and one of the most hotly contested MVP races in years is coming down to the wire. 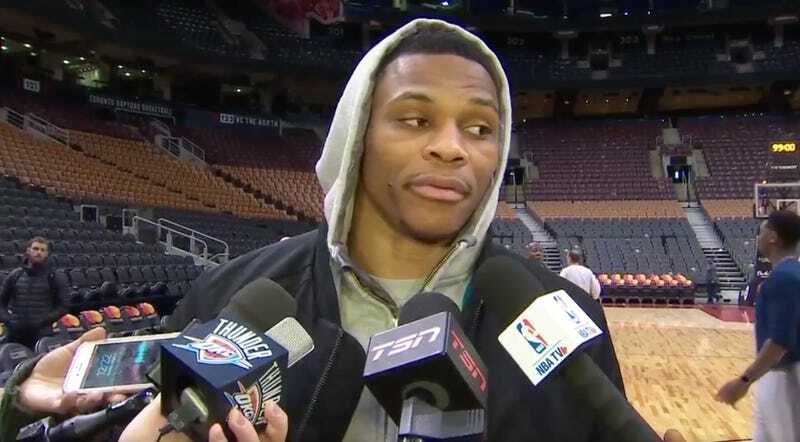 Russell Westbrook, James Harden, Kawhi Leonard, and LeBron James appear to all be in contention for the award, with a recent media straw poll showing Harden with an edge. Oh, Will You Shut Up About Defense Already?